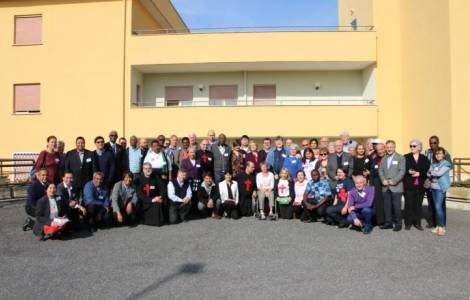 Rome (Agenzia Fides) - The International Assembly of the Lay Camillian Family (FCL) is underway in Rome. Among the participants there are 61 members, presidents and delegates from 23 countries all over the world gathered to discuss "Camillian charism, spirituality and mission in today's world". The Assembly began on October 13th and ends on October 19th. The Lay Camillian Family was founded by the same Founder of the Order of the Ministers of the Sick, better known as Camillians, who, in 1592, established a lay association. Today, alongside the thousands of professionals who work in the structures of the Order, it is composed of people who are committed to living the ideal and the spirit of St. Camillus at the service of the sick. "The aim of the meeting is to offer a permanent formation to the members of the Lay Camillian Family. Our meeting wants to be a manifestation of the continuous fulfillment of the II Vatican’s mandate to open the doors to the laity", reported Fr. Mushtaq Anjum, MI, delegate from Indonesia. Ms. Maria Bakó, secretary of the International Central Commission of the FCL, told Fides: "I want to live evangelical life with a spirit of pure love".